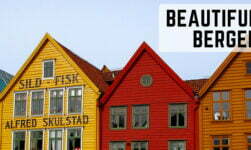 Regular readers will know I wasn't blown away by Bergen on my previous two visits. Okay bad choice of words, I was blown away because it’s so bloody wet and windy! 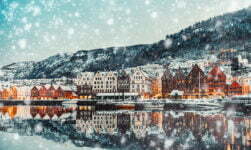 But what I mean is, Bergen didn't left such a good impression on me as the rest of Norway. 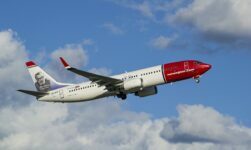 So, with a few people to meet and a football match to watch, I decided it would be third time lucky for me and Norway’s second city. I arrived on the night train at 7am, which left me an entire morning free to wander and explore. 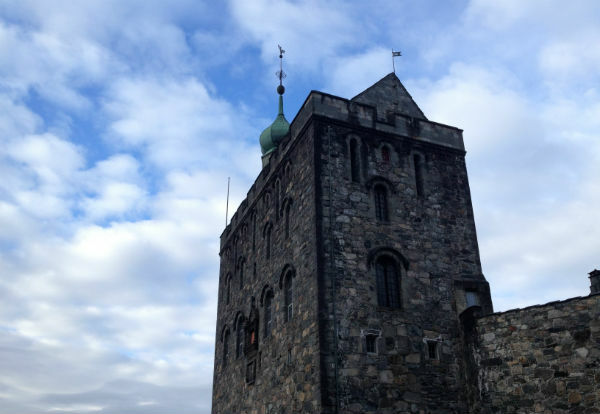 I decided to check out Bergen's past and for the history buffs out there, there's plenty to see. 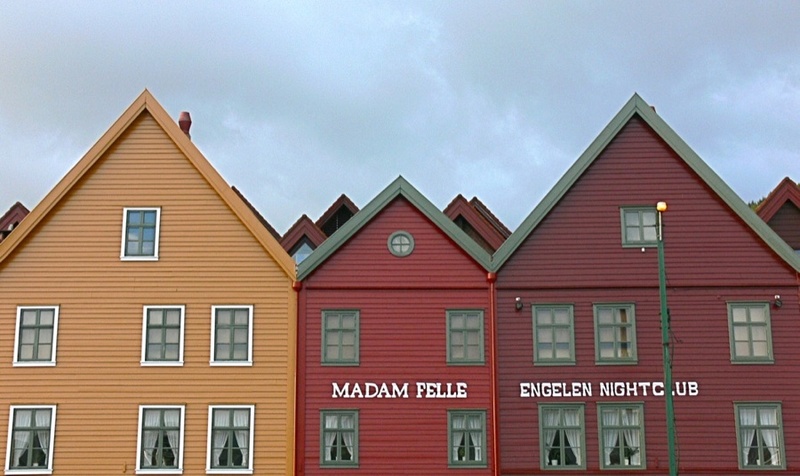 Instantly recognizable by everyone who’s ever seen a picture of Bergen, Bryggen consists of colourful wooden houses and dark alleys from the 1600s. 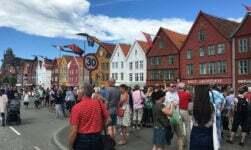 Now mostly populated by shops and cafes, the houses of Bryggen were initially warehouses of fish and cereals from the town’s Hanseatic period. 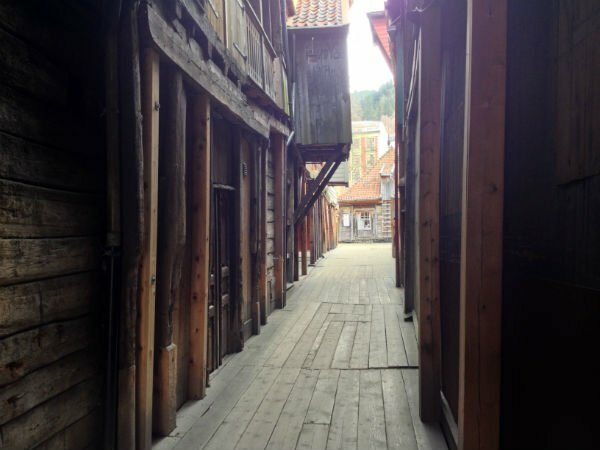 If you visit Bryggen, be sure to wander up some of the alleyways to see more of the fascinating architecture and open courtyards that lie behind the famous façade. Wrap up warm because by golly it's windy up there! I felt very at peace with the world in the fortress grounds, no doubt helped by the fact it was 9am, so I shared the entire estate with just a couple of dog-walkers. I followed one of the suggested walks before meandering off in all directions just looking and imagining times gone by. 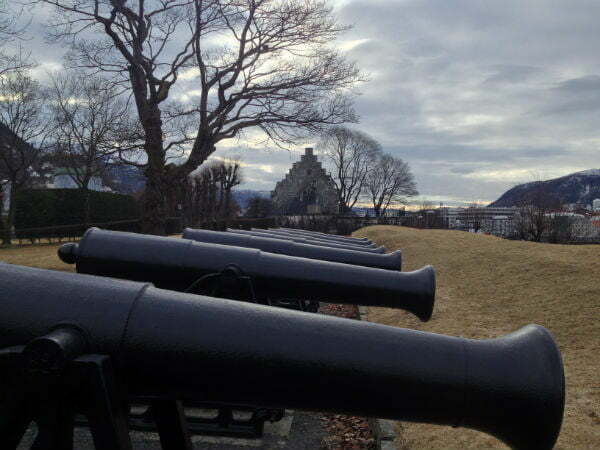 Later that day I returned to the area to visit the fortress museum, home to a number of exhibitions on Bergen's past and the fortress itself, particularly during the various wars. I had 30 minutes to kill waiting for a friend, so I ducked into this handily placed museum. 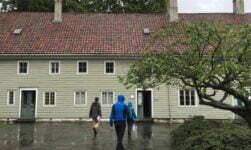 It turned out to be a great follow-up to the fortress, fortress museum and Bryggen. 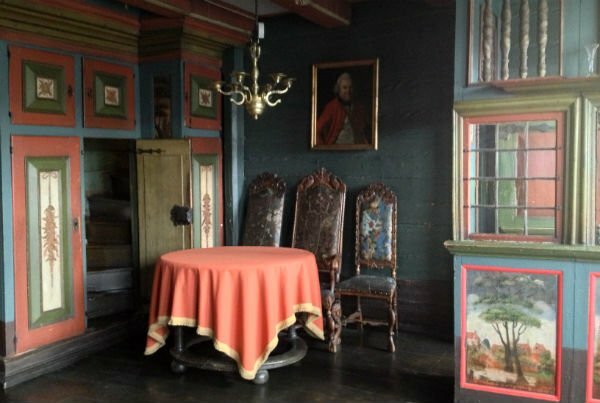 The museum is the former Hanseatic headquarters, where German merchants lived and worked. Even if you care little for history, this is a fantastic building to walk around, dripping in memories from every angle. 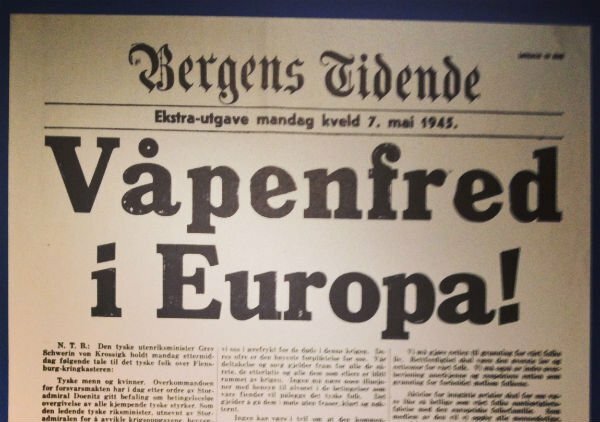 Perhaps what spurred me to delve deeper into Bergen's history was my stay at the Grand Terminus hotel. The story of Amundsen's final days on Norwegian soil coupled with the atmospheric ground floor must've got me into the mood! 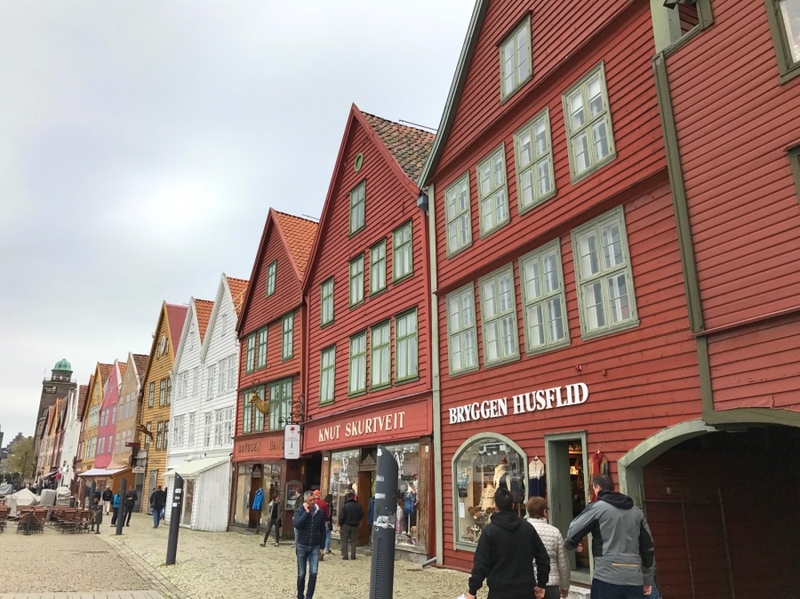 I only scratched the surface of the city's history on this visit, but it opened my eyes to what the city has to offer and also a lot of Norwegian history I didn't know. 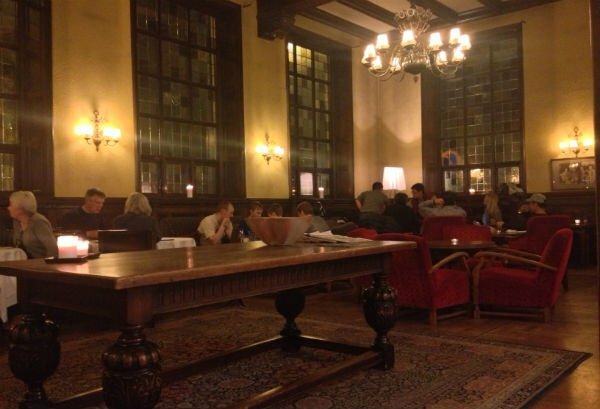 It's open from May to August if you fancy finding out more! forget the museums. 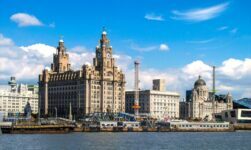 meet up with the locals and see the cool parks, the buildings, the amazing pubs, and most importantly the people.. 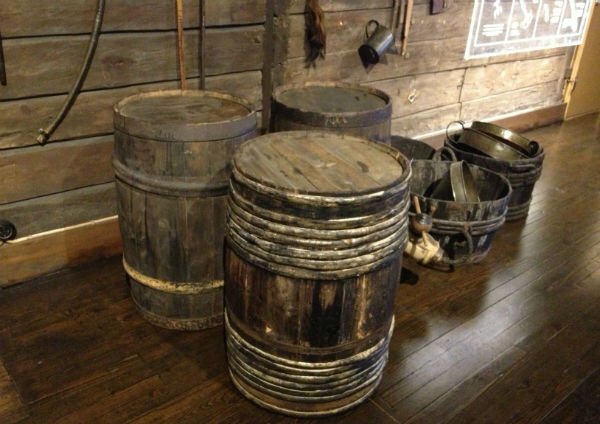 The history museum is a must ! It’s small but has a lovely collection of folk art ceramics hand painted wooden bowls plus beautiful carved wooden items ! Also weaving and knitting . There’s a great little film to sit and watch from the 1920,s of life in norway . The Viking section was closed for a refurbished but the history of churches was interesting plus an interesting collection from the colonies!